Welcome to Young Adult Book Club! 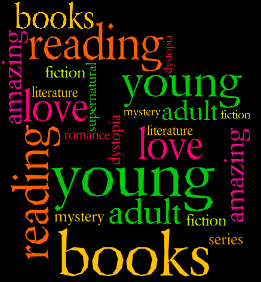 If you love to read young adult books, you've come to the right place! Before you start discussing your favorite books on the Forum, check out this month's Newsletter and the Bulletin Board! There's brand new updates for you to see there! Also, click on 'Book of the Month' to see what book the book club is reading this month. You can choose to participate only if you want. It's not mandatory, but can be quite fun! You can also view the chosen Author of the Month and learn about him or her. Also, learn about the staff that do an amazing job running this site by clicking on 'Book Club Staff.' And if you have questions, check out the 'FAQs' to see if your question is listed. Important Links will show you all the links you need to see on the site from the 'Board Guidelines' to 'Guide for New Users.' Enjoy the site!